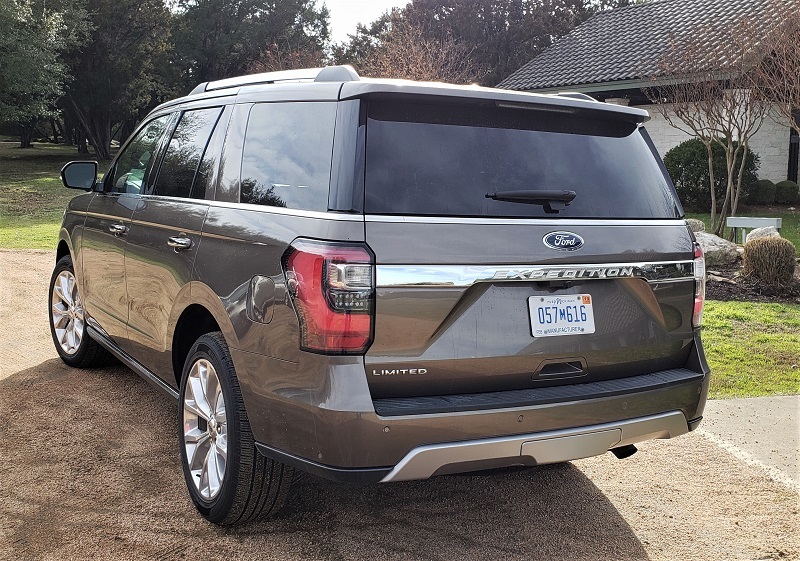 With the arrival of the 2018 Ford Expedition and Expedition Max last year, the full-size SUV from Ford is reaching its full potential as a Sport Utility Vehicle (SUV). 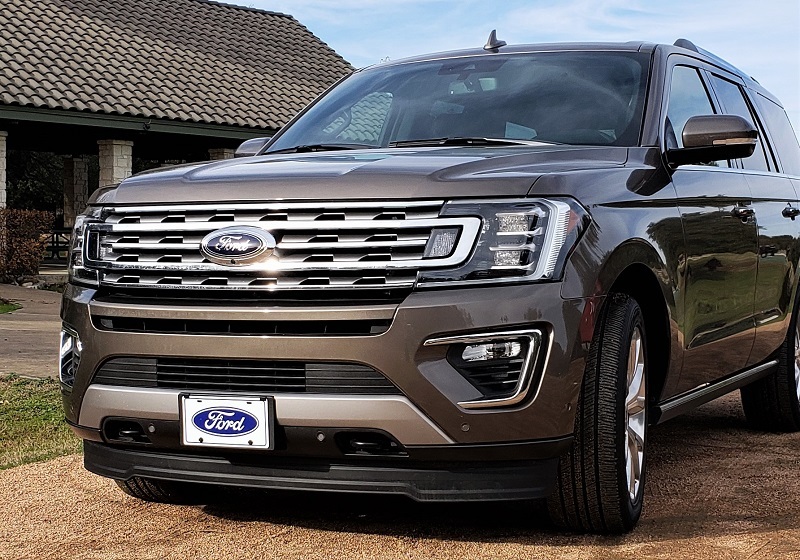 No longer just a local people hauler, the new Ford Expedition now offers much more flexibility and utility along with convenience and comfort for today’s families. It is ideally suited for not just families, but also anyone wanting to move in style around town or take a gang with lots of gear plus boat, trailer or recreational vehicles to almost anywhere in search of fun and adventure. 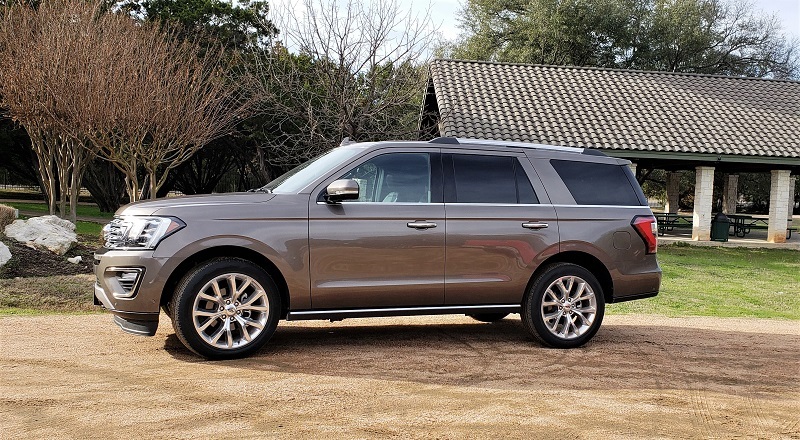 The 2018 Ford Expedition features many of the elements pioneered on the F-Series line of trucks including a high-strength, aluminum-alloy body with a redesigned high strength steel frame, two EcoBoost power options, increased tow capacity, more space, more technology and, with the FX4 Package, serious off-road capability not available from the competition. 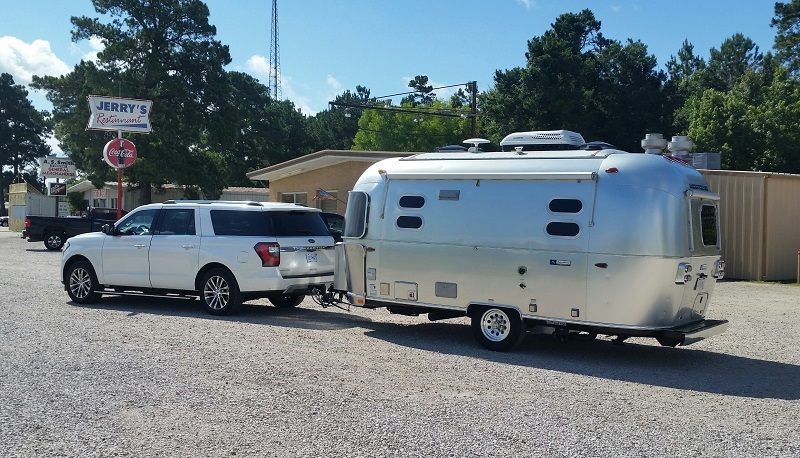 We have driven Expedition a couple of times already this year (including an Airstream / KOA Adventure trip) with Expedition exceeding our expectations every time behind the wheel. Our latest drive last month – in a 2018 Expedition Limited 4x4 – has strongly reconfirmed our earlier findings. 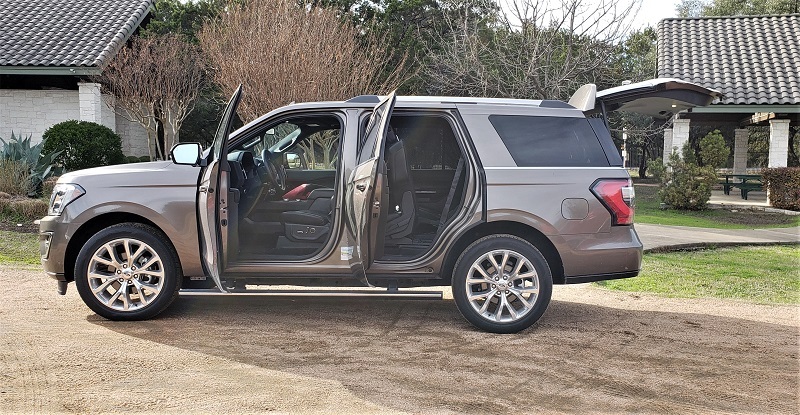 The Ford Expedition will make you smile. 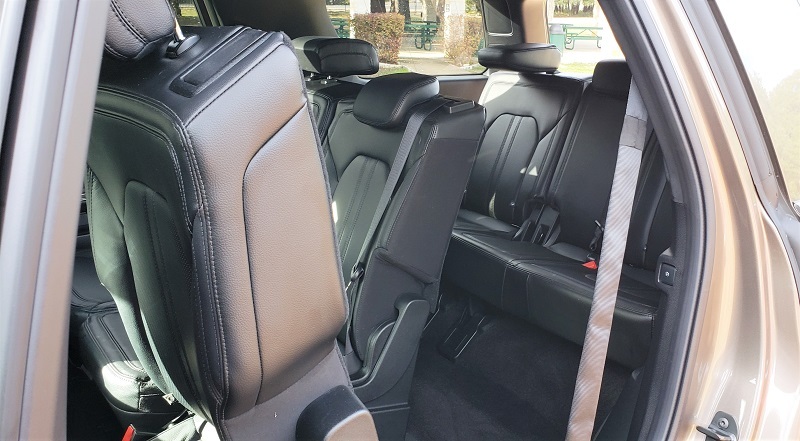 It drives smaller than it looks, is nimble on its feet, sure in its footing and powerful enough to take your family and friends plus gear comfortably with lots of technology and connectivity – to just about anywhere. Our most recent Expedition drive was in a Limited 4x4 – seating eight – in Stone Gray Metallic with Ebony interior. Sporting 22-inch polished aluminum wheels with 285/45R22 All-season tires, it was powered by the 3.5L EcoBoost Turbocharged V6, with Auto Stop/Start, producing 375 horsepower and 470 lb.-ft. of torque. It was mated to the Ford 10-speed SelectShift automatic transmission, ControlTrac Four-Wheel-Drive and featured the Ford Terrain Management system with on-road driver selectable drive modes – Normal, Sport and Eco. Our Limited 4x4 had a fuel economy rating of 17/22 mpg city/highway and a combined average of 19 mpg. With the standard fuel tank capacity of 28 gallons, our Expedition had a combined range of over 550 miles. 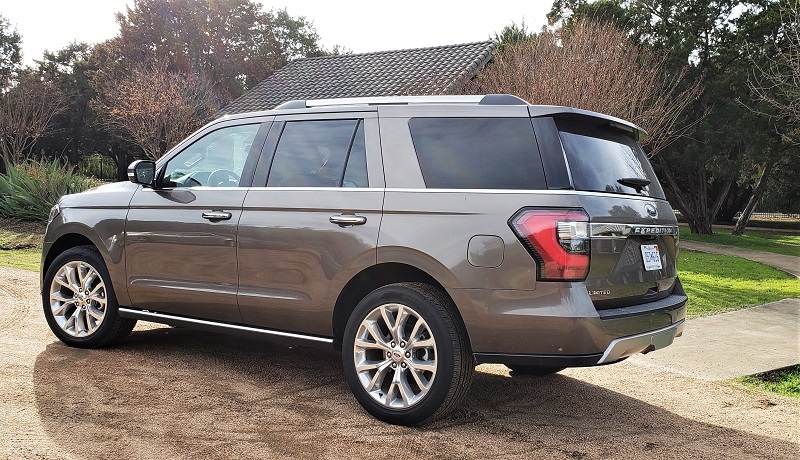 The MSRP for the 2018 Ford Expedition Limited 4x4 was $65,800. With packages and options, it priced – in our driveway – at $75,655. Our 2018 Ford Expedition Limited 4x4 was equipped to effortlessly (our word based on Expedition towing experience earlier this year) – tow 9,200 pounds. In laymen’s terms that is a pretty good size camping or boat trailer. Featuring Hill-Start Assist, Tow-haul Mode, Traction Control and Trailer Sway Control, its added Heavy-Duty Trailer Tow Package included a heavy-duty radiator, 3.73 electronic limited-slip differential and integrated trailer brake controller. 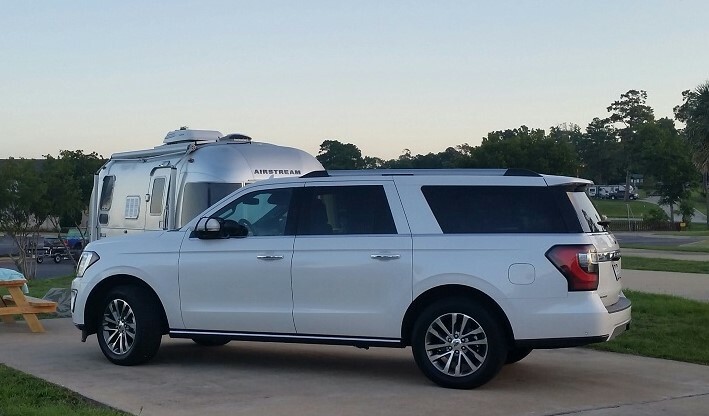 Expedition is also equipped with the Ford Pro Trailer Reverse Assist system that makes the challenging task of positioning a trailer on the campsite or the boat ramp – especially in a full-size SUV – easy. 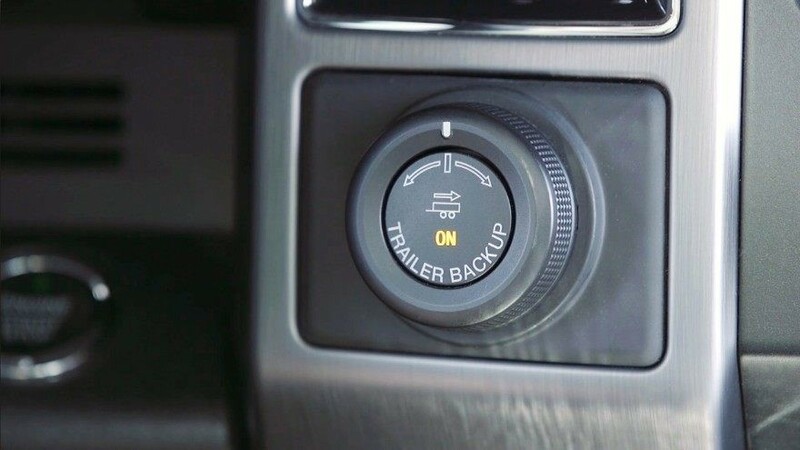 It allows the driver to view the trailer through the rear camera and, using a rotary dial on the dash, easily control the trailer’s path to placement. 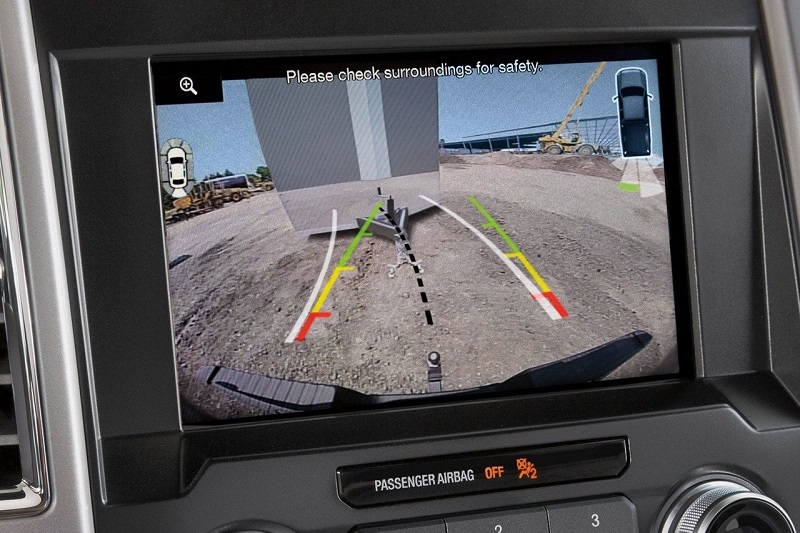 For further convenience, hooking up to the trailer is easy as Expedition also features Dynamic Hitch Assist which uses the Backup Camera System with dynamic guidelines allowing the driver to position the trailer ball directly under hitch head from the cab. 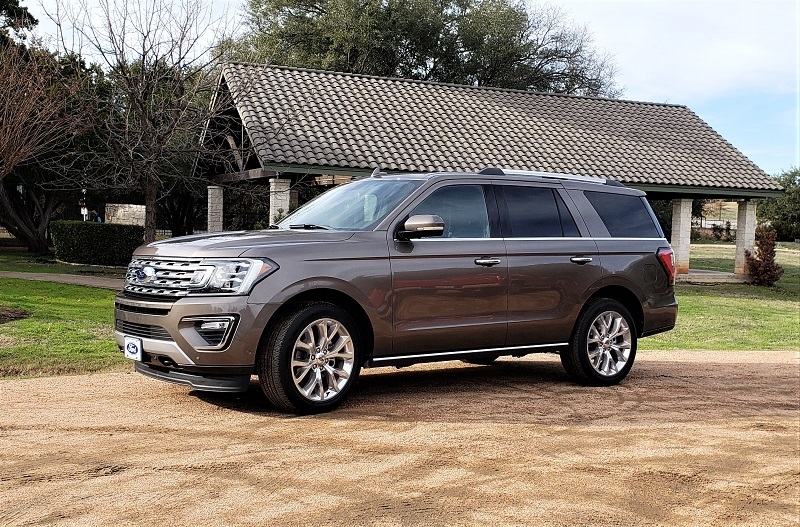 Ford made minor changes to Expedition for the 2019 model year targeted to particular trims or packages. The Special Edition Package includes 22-inch premium black-painted aluminum wheels, 360-degree camera with split view and front and rear washers, cargo package, enhanced active park assist, heavy-duty trailer tow package and LED headlamps and fog lamps. Bright roof rack rails and bright end caps are now standard on Expedition Platinum with the XLT offering an available unique seating material. 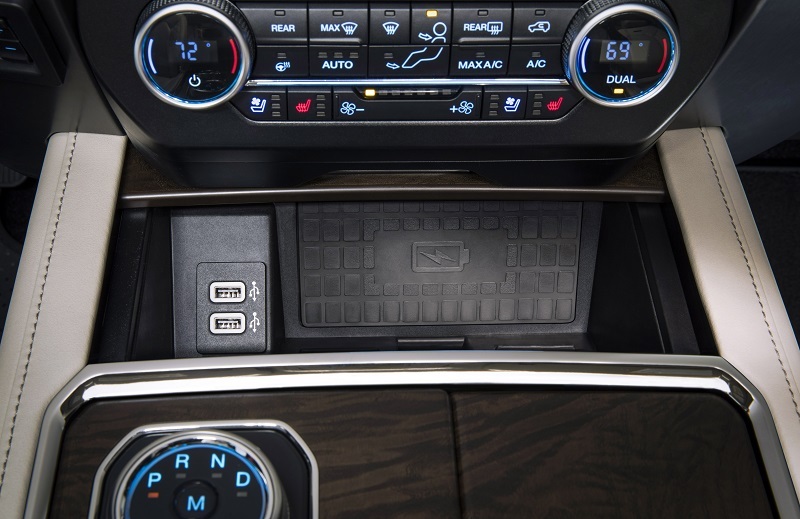 For all models, a Tri-zone electronic temperature control replaces the Dual-zone and the new FordPass Connect replaces the SYNC Connect system. 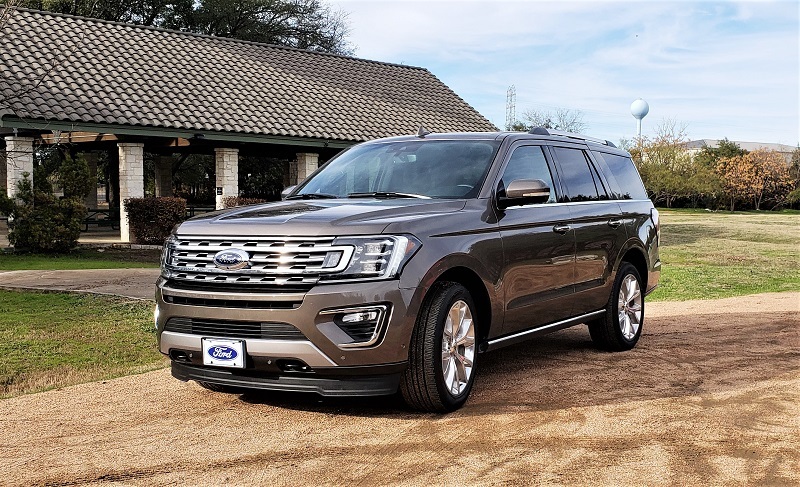 The 2019 Expedition lineup includes three well equipped and featured models in either a 4x2 or optional 4x4 configurations. It comes in both the standard length or the ‘Max’ extended length version. MSRP for the standard models is: XLT $52,130, Limited $63,015 and Platinum $73,365. 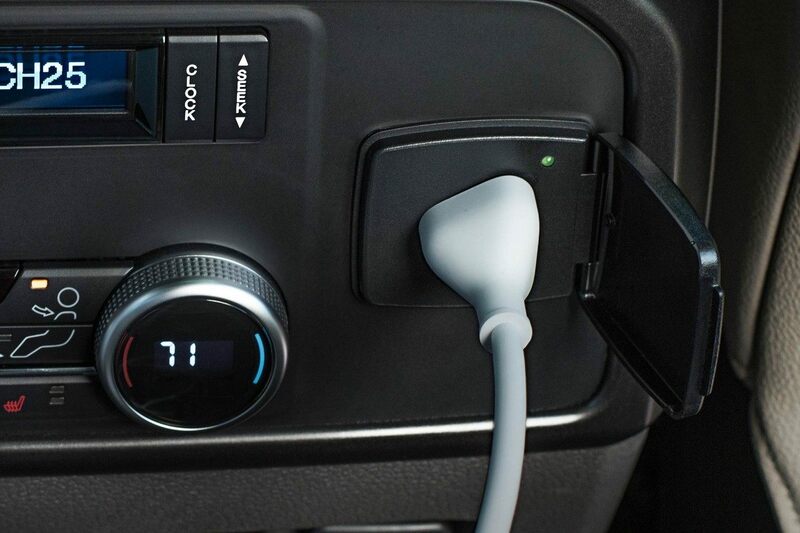 Going to the 4x4 configuration will add $4,020 to the price. The Max versions– adding nearly a foot to length and just over 9-inches to wheelbase are $2,685 more. 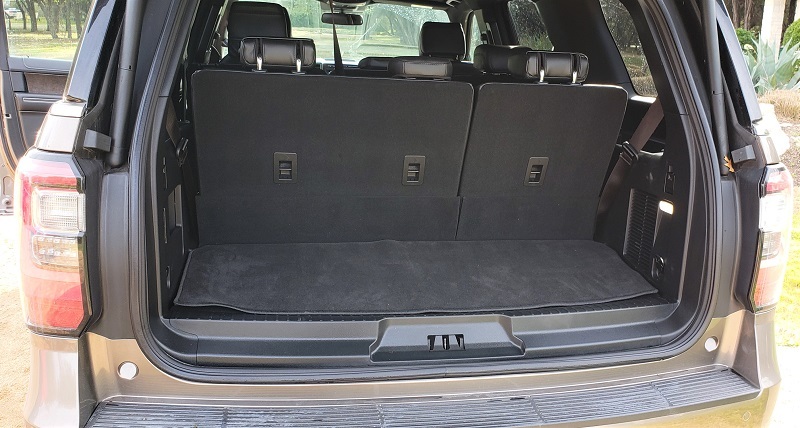 The added length increases the cargo space behind the third row from 21 to 36 cubic feet – a gain of 15 cubic feet.